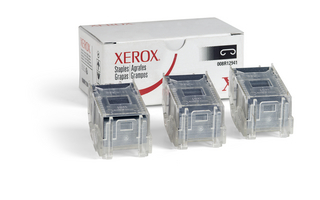 Engineered specifically for unparalleled performance and simple replacement, our staple pack contains three cartridges for your convenience, ensuring professional finished quality documents any time you need them. These staples may be used in both the Professional Finisher and Advanced Finisher for the Phaser 7760 printer. The WorkCentre 5845/5855 is no longer sold as new.You might like to consider the replacement product.